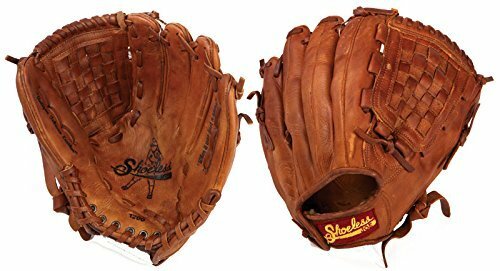 Shoeless Joe Gloves are known for their distinct appearance. It’s not just for aesthetics as these gloves are also renowned for their performance. If you’ve been playing the game a while the name Shoeless Joe Jackson will be familiar. If not, it’s about time you did. A quick look at Amazon and other online retailers will show the brand markets several gloves and mitts. It can be daunting to sift through each one. => Check out these awesome Shoeless Joe Baseball Gloves. The good news is you don’t have to do that because we’ve already taken a look at the best they have to offer and presented them here. Below is a quick roundup and description of these Shoeless Joe Jackson gloves. While they’re all for baseball, each one has unique characteristics and features. 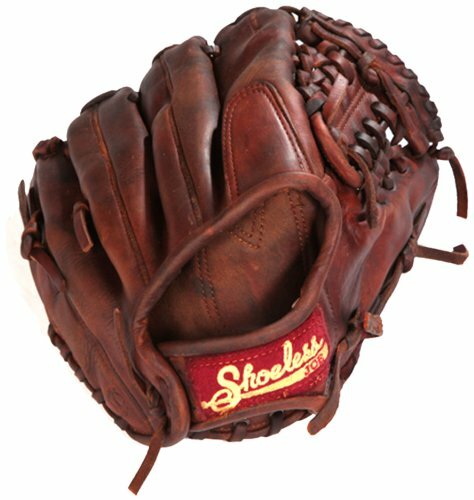 This Shoeless Joe baseball glove is almost always near the top of the company’s best sellers and why not? The Trapper is beautifully designed and durable. Unlike other gloves, it’s “field ready” and doesn’t need much time for the break in. Depending on how you play, the glove might not even require a break in, testament to its effective design. This glove is made from high quality tobacco tanned cowhide. Unique ingredients have been hand rubbed on the Trapper to soften it up. This is something you can tell by simply holding the glove: while there are many leather baseball gloves, the difference is noticeable when you touch the Trapper. One of the trademarks of the Tennessee Trapper is its worn-out look: nobody wants to play with gloves that look new, and the Trapper certainly looks like you’ve played it a while. Make no mistake about it though, as the glove is new and can be played in different levels. The Trap Brown sports the same classic design professional gloves have. Like the other Shoeless Joe first base mitt, the Trap Brown doesn’t need much breaking time. Some players play with the glove after just a few times wearing it, but if you need to break this in, here’s the best breaking in guide. Going back to the glove, it’s just as soft and textured as the Trapper thanks to the 100% Antique Tobacco Tanned cowhide. When you remove the glove from its container, you’ll immediately notice the difference in texture. 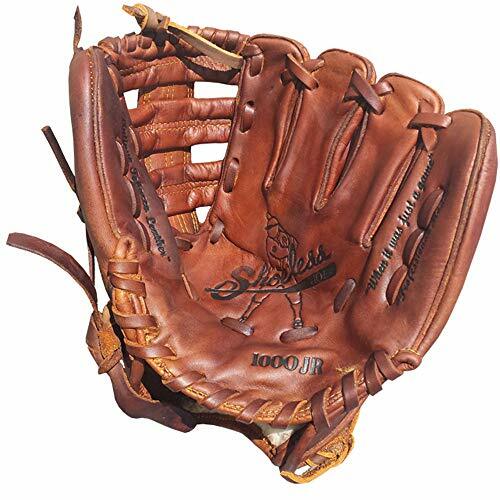 The glove is more than sufficient for playing catch, and lacing was done by hand. As the ads point out, this mitt is designed mainly for baseball but it’s just as effective for softball. The glove holds its shape nicely and it’s light weight means it’s not going to wear you down. Designed expressly for junior fielders, the glove incorporates many of the features present in the other ball gloves. They may feel a bit stiff the first few times you wear it, but breaking in isn’t as difficult compared to other gloves in its class. The leather is 100% pure cowhide and feels distinctly different from other gloves. The Junior Fielders doesn’t just look good, but the feel and texture is a cut above the rest. Just like the other Shoeless Joe baseball gloves here, the leather has been oiled with special ingredients to keep the leather soft. This approach is used on all their Shoeless Joe gloves and it works. The Junior Fielders has that deliberate game worn look, but the feel is fresh. When we tried the glove, it performed at top level as the ball rarely popped out. 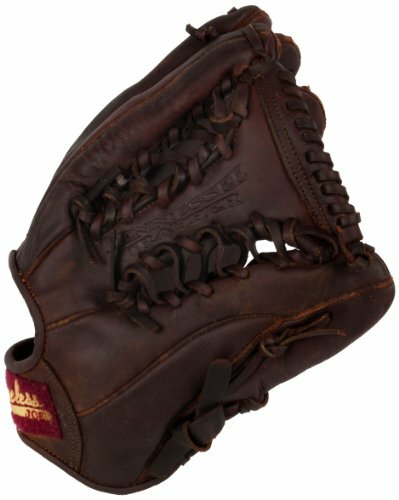 The Basket Weave Pocket Brown Glove has many of the features present in the other gloves here: for instance, it sports the same rugged look, and yet it manages to smell and feel new. The glove is also field ready so you can wear and use it right out of the box. In some cases a bit of breaking it in may be required though. In any case the glove fits nicely in your hand, and it’s versatile enough to be used in different ways. For some it’s a perfect Shoeless outfield baseball glove. One of the shortcomings of other gloves is they’re only good for use for players with particular skill levels. The Basket Weave Glove isn’t like that however as it’s more than capable of supporting different players. 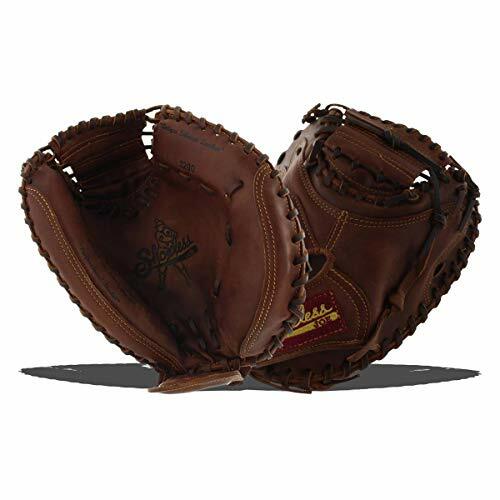 The Shoeless Joe catchers mitt is one of the brand’s most popular products, and in large part that’s due to its makeup and material composition. The leather is high quality, and judging from the feel, it’s obvious that the same ingredients used to soften the leather on the other gloves was used here as well. There are a lot of positive things you can say about this mitt, but if we have to cite only one it’s that the glove is durable. Like the traditional catcher’s glove, this will protect your thumbs from an incoming pitch, and it’s thick and strong. If you’ve played baseball for a long time, the leather will instantly remind you of the classic gloves worn by professional catchers. This catcher’s mitt doesn’t just have the look and feel of the classic, but it’s also fully functional. It is a bit thicker and heavier than regular baseball gloves, but that’s not a big deal and this is actually what protects your hand. If you’ve never used this type of catcher’s mitt before this might take some getting used to. It’s definitely worth it though. A closer look at the mitt will show that it sports an open design, not the typical hand-hugger style common today. You’ll also notice that the mitt has a wrist guard. Ordinarily this would be something of an inconvenience, but in this case it is well placed and isn’t going to get in your way. This is a bit of a tough topic for me. I’m a huge fan of both companies for different reasons. I really love the tobacco tanned leather from the Joe mitts. They have that old-time feel and look. Nokona gloves have a wonderful history of handcrafted mitts produced in the USA since 1934. They produce some of the best gloves for both beginner and advanced player. When it comes down to it the Shoeless Joe mitts are more affordable but Nokona wins when it comes to overall quality. As this Shoeless Joe Gloves review has shown there are several options for you. Whatever your playing style may be, there’s a good chance the brand has something for you. Just like when you’re buying a product online, you should compare the gloves here so you can make an informed decision. Whether you’ve been playing the game for years or just getting started, you won’t be lacking in choices here.